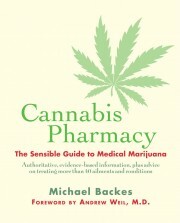 Michael Backes, Foreword by Andrew Weil, M.D. The most comprehensive book available on understanding and using medical marijuana, Cannabis Pharmacy combines scientific and evidence-based research with practical, easy-to-understand information. 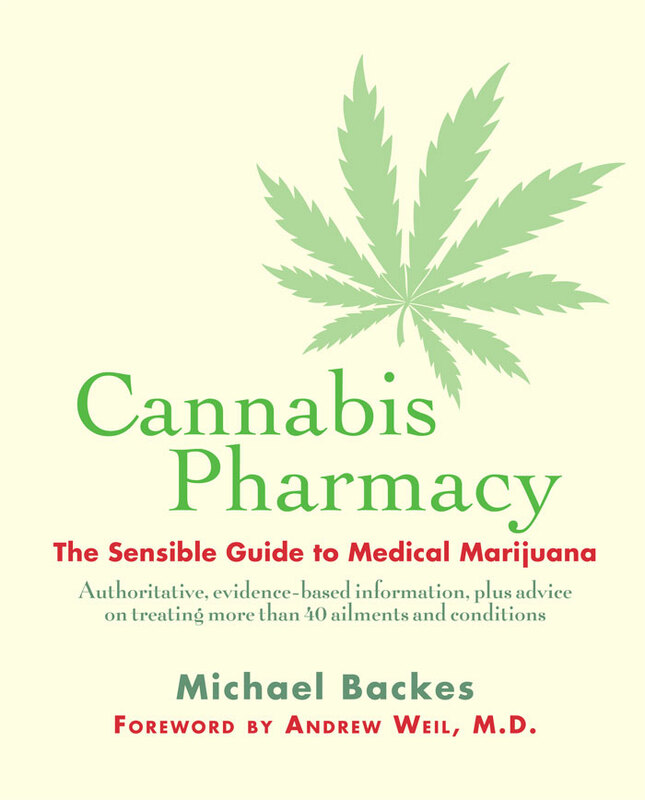 Written by Michael Backes, a respected expert in the field, the book begins with the history of medical marijuana and an explanation of how cannabinoids, medicinally active substances produced within the plant, work with the body’s own endocannibinoid system. Backes goes on to explore 27 of the most popular cannabis varieties, how to identify them, and the medial conditions for which patients have reported effectiveness. Additional chapters describe how to prepare and store cannabis, how best to administer those preparations, how to control dosage, and so on. Also included is a guide that looks at 29 ailments and conditions for which doctors commonly recommend medical marijuana. Meticulously researched, written in an easy and accessible style, Cannabis Pharmacy provides the clearest, most complete, and most practical information available on the use and benefits of medial marijuana. Michael Backes specializes in cannabis science and policy issues at a southern California consultancy with clients across the United States. He previously founded the first evidence-based cannabis dispensary. Backes is active with Project CBD, the International Association for Canabinoid Medecines, and is a member of the American Herbal Products Association Cannabis Committee. He lives in Southern California. Andrew Weil, M.D. is a world-renowned leader and pioneer in the field of integrative medicine. He holds undergraduate and medical degrees from Harvard University. Thorough, accurate, and yet easy to read coverage of what every prescribing physician and patient needs to know about medical marijuana, its metabolism, and effects, its risk and possible benefits, along with cautions and details about available forms and modes of administration. A superbly written and easily accessible expert guide for practical know-how… It will undoubtedly become an essential, foundational, and educational text about the value and depth of human-cannabis relations and how to apply the very best of what is known about medical marijuana to maximize health and well-being. Crucial reading for anyone interested in cannabis and the new frontier of cannabis medicine. Now, more than ever, people need clear, well-researched, unbiased, factual reporting about the benefits, and drawbacks, of marijuana use. This book provides that… [It] is destined to become the standard work on the subject. There is now so much science supporting the legalization and acceptance of medical marijuana use, yet not enough effective communication…Cannabis Pharmacy excels at filling that need.